Imagination Factory is a place where kids learn about Jesus by investigating His names. Inside the factory, there are four different “rooms” where kids will use their imagination as they learn: The Lab, The Gallery, Building Zone and The Junkyard. 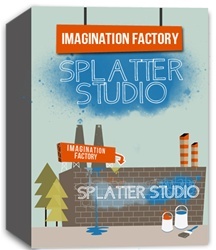 This unit takes place in the Gallery, specifically Splatter Studio.